Published 2 weeks ago. About a 5 minute read. Purpose offers a powerful opportunity for brands — it’s about making a genuine difference to material issues that matter to consumers, society and the world; but in reality, it also genuinely delivers for brands. In categories with established low levels of consumer engagement, such as utilities, purpose can be a key differentiator harnessing consumer preference and long-term loyalty. 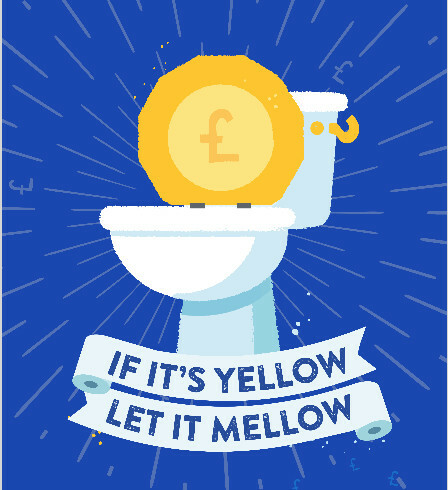 In September 2017, East England-based utility Anglian Water launched its 'Smarter Drop’ pilot in Newmarket, a project which aims to bring about consumer behaviour change around water usage, and improve consumer awareness and perceptions of the Anglian Water brand. The initiative was devised and is being delivered by Given London, a brand purpose consultancy that works closely with some of the UK’s leading businesses (including John Lewis, Virgin Media, P&G, Diageo, Aviva and PepsiCo, among others). The project equipped and galvanised Newmarket residents to save water through a mix of educational initiatives and the trialling of Anglian Water’s new technologies and innovation. In just nine months, the project saw households make a roughly 50 percent water-saving (when compared to their previous water usage), transformed consumer perceptions of water usage and delivered a NPS (Net Promoter Score) for the Anglian Water brand of +65.63. The Smarter Drop project has been implemented through community-focused activations that involve direct and natural contact with local residents. The project and its water-saving messaging has conveniently come to them, tailoring its approach according to different customer groups and engaging them as they go about their daily lives. A Smarter Drop Shop was opened in a prime location on Newmarket’s high street, providing a convenient hub to showcase innovative, water-saving products, and allowing Anglian Water staff to offer face-to-face support and advice — the physical shop also facilitated specific engagement with vulnerable customers, notably those with disabilities and those challenged financially. For the project’s ‘water pledges,’ a 40 percent engagement level was achieved thanks to a strategic tie-up with Tesco, Newmarket’s largest supermarket, when footfall was at peak during the Easter holidays — children were given water-saving pledge passports and a water magician was used to create engagement. In addition, a designated Communications Engagement Manager, based in Newmarket, has built specific relationships with the Council Executive, schools and community groups, driving further awareness and engagement through this ‘hyper-local’ approach. The project’s single-minded focus on direct and specific engagement with the local community has been integral to its impact, and is attributed to having significantly shifted Anglian Water’s NPS. Following a February 2018 survey of Newmarket residents, the brand achieved a NPS of +65.63, a huge uplift against a regional average of -26. In February 2018, as part of the project, Anglian Water and Given London ran ‘The Big Save’ — a water-saving challenge involving 200 Newmarket households. The households (primarily families) were asked to save water for an entire month and equipped with practical advice and ideas, but not technological intervention. Participants were asked to save as much water as they could, and a selection of compelling communication ‘hooks’ were also devised to help inspire and sustain motivation. Comms hooks included: “Become a saver — save water and money,” “Save water to compete with your neighbours and win £100” and “Save water and win something for your community.” Among the residents participating, there was also a control group who were not given a motivating hook and were simply asked to save as much water as possible. Households that were given a compelling reason or ‘hook’ to change their behaviour reduced the amount of water they consumed from roughly 110 litres per day to around 82 litres per day amongst top performers. Interestingly, water saving did not diminish over the month for any of the groups. In fact, they got better at saving water, once they had got into their stride and developed handy tips and tricks around the home for themselves. Crucially, these were the households whose approaches worked specifically for their individual family and routines. Giving consumers a compelling reason — in this case, one that involved a money-saving element — was a key inspirer for behaviour change; and the additional focus of a short, sharp water-saving week or month worked, and continued to work over time. 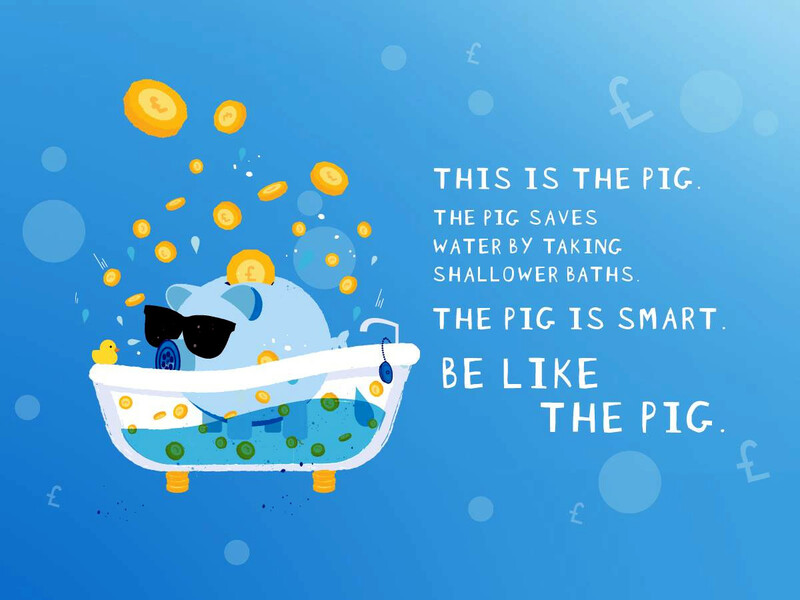 The consumer engagement achieved around water-saving had a broader impact than its immediate cost benefits for residents; it also delivered a halo effect for the Anglian Water brand. Of those surveyed after The Big Save challenge, 100 percent said they would not only change their behaviour but their perception of water as a product — and Anglian Water as a brand — had also changed. And the 70 percent who said they found saving water easier than they thought were also happy to receive regular correspondence from Anglian Water on water saving. Anecdotal feedback also suggested an email open rate for Smarter Drop activities standing at around seven percent — this level is almost unheard of in email marketing terms, with one percent being the open rate expected for unsolicited emails from any brand. It is clear that, by positioning themselves as vanguards of bill-reducing water saving, and by working at a local level to educate and equip the Newmarket community to achieve this practically, Anglian Water had not only built brand awareness, it had also achieved loyalty and brand warmth. By leading on a purpose issue of genuine benefit to consumers (which Anglian Water had the authority and expertise to own), the business is revolutionising its image in a category with established low consumer-engagement levels. Becky Willan is Managing Director of Given — a brand purpose agency that helps businesses grow by doing good.